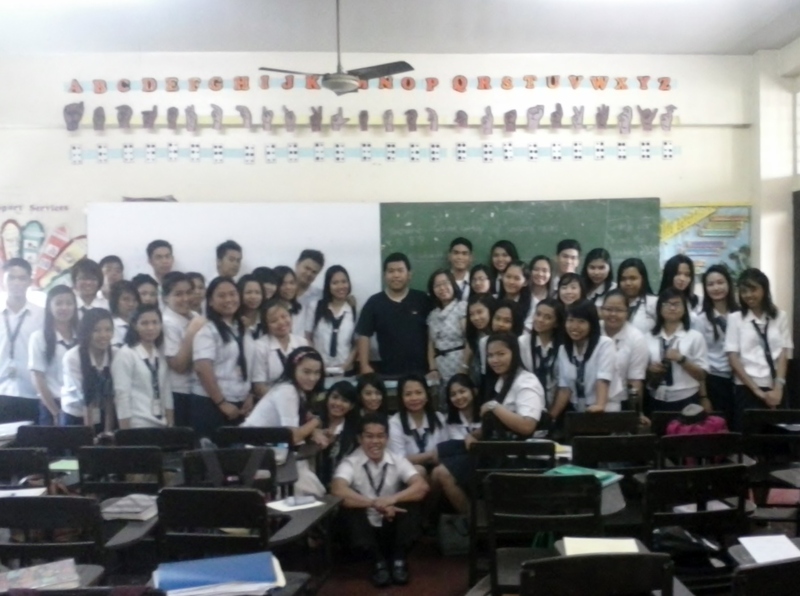 Me and the students of the National Teachers College in Manila, where I gave a talk and advocated for autism. Last Tuesday, I’ve just finished doing a talk with some students from the National Teachers College in Manila. There, I stood as a self-advocate, and relayed my experiences as an autistic individual and a person of the community. I’ll be back for another session with them this coming Thursday. (It was supposed to be last Thursday, but I woke up way too late, and asked the organizer if my session could be rescheduled, which they obliged.) Quite encouraging for me, considering this would be considered as one of my many self-advocacy engagements and I am looking forward for more. So right now, you might notice, I hadn’t been updating my blog site as frequent as expected. And to be honest, the statistics I have been receiving from WordPress has been quite depressing: only a few visitors. Sigh. Anyway, I have been busier with field work, and the social media. So if you have time and want to receive more frequent updates and some good reads, I’d recommend you like my page (www.facebook.com/autisticbigbro) on Facebook, follow me (@autisticbigbro) on Twitter, and add me (BigBro Joe Campos) on your Google+ circles. Until I come up with a good write-up, I would post some little thoughts on the social media. Hi there! Please don’t be discouraged by the number of visitors to your blog. You’re getting your word out there and I’m sure it’s reaching important people. Bow pa rin ako sa yo, Joe! You’re an inspiration to a lot of people! More power to you and your advocacy!